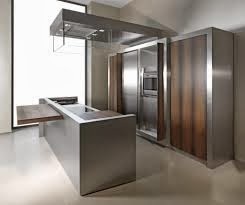 Home » Stainless Steel Specifications » What is grade 443 Stainless Steel and what advantages does it vs 304 or 201 Stainless Steels? 440 Series steels are high grade cutlery steels, often called razor steels. They have a relatively high Carbon content and hold an edge extremely well. 304 is your plain, run of the mill 18/8 stainless (18% Cr and 8% Ni). 304 is very corrosion resistant. 200 series steels contain Cr, Ni and Mn as alloys. They are typically cheaper to produce and are used in less stringent applications than 300 series SS. Ultrasonic inspection: 100% ultrasonic inspection for any inperfections or based on the customer's requirement. 443 Stainless Steel :They are ferritic grade of steel. These stainless steels are highly corrosion resistant, but less durable than austenitic grades. They contain between 10.5% and 27% chromium and very little nickel, if any. Most compositions include molybdenum; some, aluminium or titanium. Common ferritic grades include 18Cr-2Mo, 26Cr-1Mo, 29Cr-4Mo, and 29Cr-4Mo-2Ni. Type 440—a higher grade of cutlery steel, with more carbon in it, which allows for much better edge retention when the steel is heat treated properly. It can be hardened to around Rockwell 58 hardness, making it one of the hardest stainless steels. Due to its toughness and relatively low cost, most display-only and replica swords or knives are made of 440 stainless. Also known as "razor blade steel". Available in four grades 440A, 440B, 440C, and the uncommon 440F (free machinable). 440A, having the least amount of carbon in it, is the most stain-resistant; 440C, having the most, is the strongest and is usually considered a more desirable choice in knifemaking than 440A except for diving or other salt-water applications. Ferritic grades have been developed to provide a group of stainless steel to resist corrosion and oxidation, while being highly resistant to stress corrosion cracking. These steels are magnetic but cannot be hardened or strengthened by heat treatment. They can be cold worked and softened by annealing. As a group, they are more corrosive resistant than the martensitic grades, but generally inferior to the austenitic grades. Like martensitic grades, these are straight chromium steels with no nickel. They are used for decorative trim, sinks, and automotive applications, particularly exhaust systems.